Not a good look initially for Les. 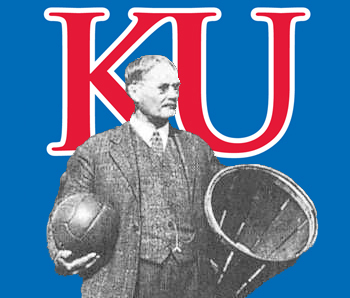 Prior to Miles being hired, KU had ONE commitment for 2019. KU was on track to have its worst recruiting class no matter who was hired. Miles did an exceptional job to salvage the signings he did, and he didn’t just get filler, he got some quality athletes. Several players have re-opened their recruitment now and Miles has until February to convince a few of those guys that Lawrence is the place they want to be. I would not be surprised to see Miles secure a 4 star signing this recruiting period, and would fully expect him to nab more than one five star for 2020. He’s playing catch up right now, but with a full year, I think KU lands a top 40 class for 2020. After that, look out. Yeah, let’s panic. Been there 32 days and they are writing articles comparing to his LSU recruiting classes? Any articles in Green Bay complaining about the Packers not making the playoffs 3 weeks after firing their coach? These articles talking about how poor the class are so lazy. They are just looking at rankings and class size. There is so much more going on with this years class. As stated above we had one commit when he took the job. The previous staff basically quit recruiting so Les and his NOT complete staff had approximately 3 weeks to address needs and try to find some kids. As far as rankings are concerned KU can only take 15 or so kids this year so of course they are going to be ranked well below teams that have 20-25 kids. @Woodrow I am getting old. Why do we have a limit of 15? @mayjay Because Beaty screwed us over. He used a bunch of blue shirts and transfers last year to count us against this years class. Meanwhile, blueshirts represent the newest loophole for FBS programs to accumulate depth while not affecting their annual numbers. Like grayshirt recruits, blueshirts are counted toward the next season’s scholarship total. There is one distinct difference, however. Unlike grayshirts, a blueshirt is able to enroll and participate in team events in the fall. This allows programs to get the best of both worlds: FBS schools can delay a scholarship for the following year, allowing them to over-sign beyond the 25-scholarship limit, and get the use of a prospect immediately rather than waiting until the following spring. Well duh, The rankings of classes are set on 2 things, number of stars next to the name and number of names signed. As the article says they have a higher average player rating than several ahead of them, they just dont have the same number of recruits. When you can only sign 15 guys (currently 10 ) and other schools are signing 20-25, even if you had all guys rated at 4 and 5 stars it would still be a middle of the pack class. It’s just a article to take a jab at Miles, no common sense was used in writing it. First, comparing recruiting classes at KU with LSU in football is like comparing Missouri State and KU in basketball. Second, the writer states that the low ranking is based strictly on numbers and not necessarily quality of recruits; in fact, he writes that the KU recruits are ranked ahead of 32 other teams ranked overall ahead of KU. He does not seem aware that KU cannot get 25 recruits and is limited to 15. All things considered, I believe the class Miles is bringing is very good under the current conditions. -With the amount of time he had to be able to come in and recruit? - -He did a solid job in his recruiting time - -you give this staff a FULL YEAR to recruit kids - sit back and watch - were gonna be just fine. - Out of this group that he DID land there are some quality kids. -he got quality kids for this year where he felt he had the biggest concerns at biggest positions - -people hollering he was to heavy on JUCO’S - - not really - I think the final count was like 6-4 Juco or right there as we only was able to land Eleven in this short amount of time. Before Les we had ONE - - -ONE - -and we would of ended with one , and this program would of collapsed for sure. and we still have Feb to get those other 4-5. If people think that we are just going to become some power just because we have Les - -that’ s not going to happen. - -What is going to happen is we will get some 7-8 win season - -maybe even a 9 here and there - -we will be a very respectable program - -to where people will actually want to take a Saturday and go watch a competitive game.